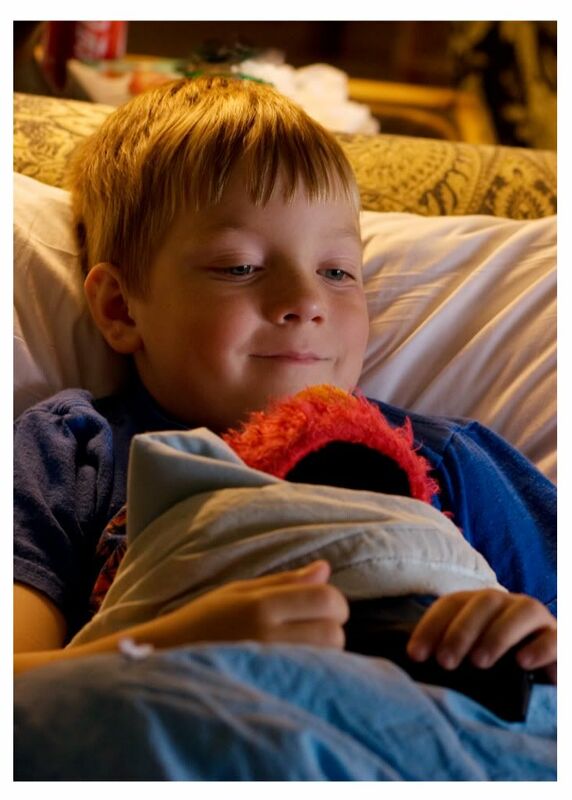 Elmo knows the real, sweet Jake. Kris told me a funny story about Jake today. Yesterday Jake was talking to a little girl in his first-grade class, Heidi. He told her the puppies on her thermos were cute. “Hmm, I’ve never heard you say anything like that before,” Heidi said. And Jake confessed, “I’m sensitive.” And then he hung his head. And Jake couldn’t bear it. The frog was tugging at his heartstrings. “Oh, darn it!” he cried. “Why do I have to love nature so much?” And he gave the frog to Sophie. He’s so softhearted that he’s very easily manipulated. You have to be careful not to take advantage of him.